Anodized aluminum is sturdy and lightweight. Waterfall armrests provide additional comfort and support. 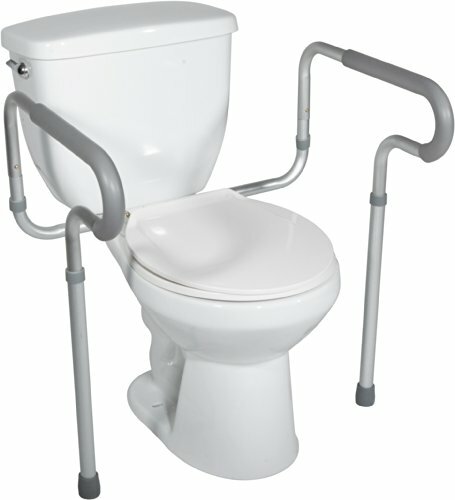 Powder coated aluminum bracket easily attaches frame to toilet. Arms are height and width adjustable. 300 pounds weight capacity.